Avigdor Liberman derides EU over condemnation of Israel, claims that Syria, Ukraine, other world problems deserve greater focus. 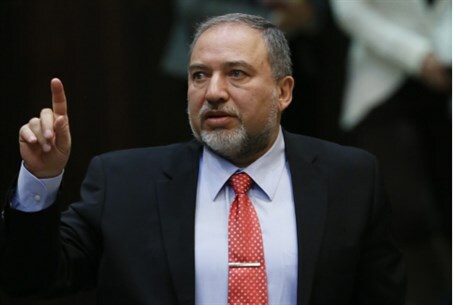 Foreign Minister Avigdor Liberman (Yisrael Beytenu) derided EU Foreign Affairs Chief Catherine Ashton Sunday, after she condemned Israel for the failure of peace talks with the Palestinian Authority (PA). "When the whole world is engaged in trying to solve the crisis in Ukraine - where, as in Syria, innocent people continue to be slaughtered every day - when Iraq is attacked with bombs and when many more conflicts and confrontations are affecting lives around the world, Catherine Ashton finds Israel the real danger to world peace," Liberman fired, sarcastically, in a Facebook post. "Luckily, [someone] in the European Union knows how to diagnose the world's critical problems and deal with them quickly and decisively," he added. Ashton called on Israel to halt construction projects in Jewish communities in Judea and Samaria in order to revive peace talks between Israel and the PA, in a controversial statement which sparked outrage from politicians and the public. In the statement, Ashton condemned Israel's declaration of sovereignty over land in the Gush Etzion bloc, landmark decision to allow Jewish families to move back into the Jewish-owned "Peace House" in Hevron, and wildly lashed out at "demolition of Palestinian property and the confiscation of EU humanitarian aid". Ashton made no reference to Palestinian Authority moves which caused negotiations to collapse, including its repeated refusal to recognize Israel as a Jewish state, and the decision to unilaterally apply for membership in 15 international agencies.